Even if you are going on a much-needed and much-anticipated vacation, and even if you love to travel, it has its stressful mo­merits. Will you make it to the airport on time? Will you make your flight connection? Will the weather be good for the car trip, will the kids be reasonably well-behaved this time, and will the transmission start acting up again? No matter how fabulous the scenery, how delightful the people, how awe-inspiring the art, you still have to think about your diabetes: monitoring your glu­cose, taking insulin or oral hypoglycemics, and making certain you get enough of the right kind of food. 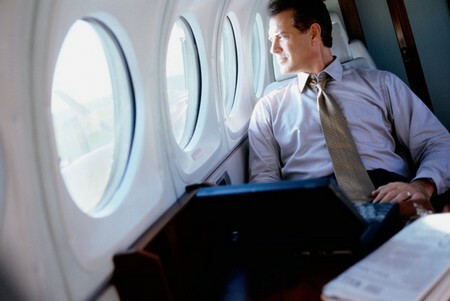 Business travel is an almost guaranteed stressful event. You may not like the people you’re traveling with, and even if you do, being with them constantly for a few days can put a strain on the best working relationship. You have goals to accomplish that are different from, and probably more stressful than, what you usu­ally do at the office. You may be crossing a few time zones, which can wreak havoc on your eating and medication schedule. The ho­tel may be awful, and you may not be able to get your clothes pressed. Also, much business travel involves food, and since some­times the best deals are made in the best restaurants, you may have less control than you would like over where and what you eat. Moreover, alcohol tends to flow freely at business meals. The best advice here is follow your own rules for eating out. Make certain you are healthy when you leave. You can’t do anything about the cold you catch on the airplane from the vi­ruses in the recirculated air, but if you are ill at home, stay at home until you feel better. 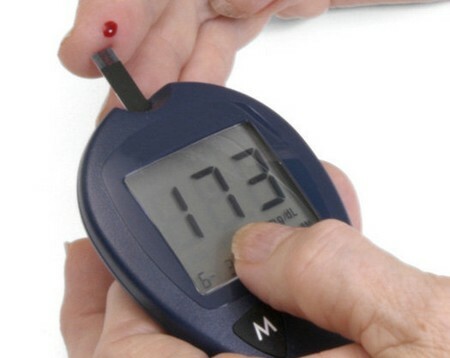 Being sick on vacation can ruin your fun and make your diabetes really difficult to control. If you require immunizations for travel, get them at least a month before you leave so you have time to recover from reac­tions. Pack all the diabetic supplies and medication you will need for your trip—and then some—in your carry-on bag, never in checked luggage. Many frequent travelers recommend taking along twice as much as you expect to need. Ask your physician for an extra prescription for all your medications and syringes in case you lose everything. Make sure the prescriptions have the generic name of the drug if you are planning foreign travel. Carry a supply of snacks. The best-laid travel plans have a habit of going awry, airplanes and trains are notoriously late, and meals can be delayed for hours. Not all airports have res­taurants (or at least one you would want to eat in), and train stations usually limit you to a fast-food joint—if they have that. Call your health insurance company and make sure you are covered if you are traveling to a foreign country. Ask your diabetes educator or nurse practitioner what to do if you plan to cross two or more time zones. You will need to know how to adjust meals and medication for the change. The American Diabetes Association or the International Diabe­tes Federation can provide you with names of endocrinologists in areas where you will travel. If you do not do this beforehand and you fall ill while traveling, look in the yellow pages of the local phone book under either “diabetes” or “endocrinology” in the physicians section. Many hotels have doctors on call who can steer you to the right specialist, or in a real emer­gency, simply dial 911. If you are in a foreign country and have an American Express card, call the local office for a physician referral. Many Visa and MasterCard gold card memberships provide the same service.